The recent release of Red Dead Redemption 2 has sent the gaming world into a frenzy with many people proclaiming it as the best game ever made. And let’s be honest, there are very few franchises that have had the impact and popularity of Rockstar’s three Wild West outings. Indeed I have to confess that I myself became utterly consumed by both Red Dead Redemption 1 and 2 andam still playing through the latter. There are very few video games in my life that I have enjoyed more than the two Red Dead Redemption titles and so that got me thinking about the many Wild West based games of the past. In fact cowboy-themed games have been around since the very dawn of our favourite hobby in one form or another, and so I thought now would be a good time to look back at what came before. 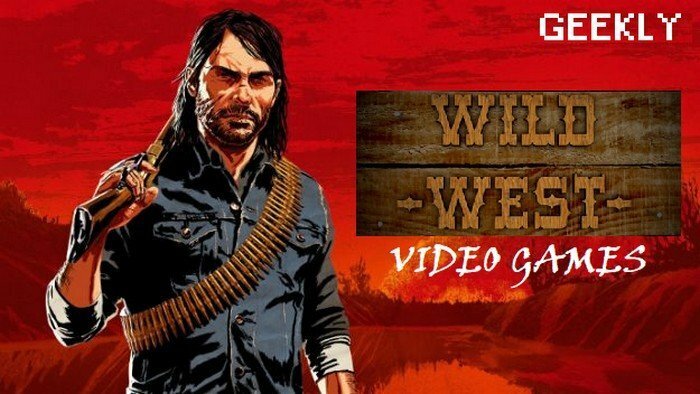 So shine up those spurs, pack your saddle bag and get your six shooter loaded because we are going to have a rootin’ tootin’ gun shootin’ time as we look though this list of ten games that paved the way to the Red Dead Redemption series. Midway’s Boot Hill was the sequel to the revolutionary 1975 coin-op Gun Fight, which was not only the first game to feature human combat it was also the first to have a microprocessor. Arriving two years after Gun Fight, this follow-up was pretty much more of the same, only a bit better done, becoming an equally huge success for the company. The main difference between this game and Gun Fight was that you could now play as against the computer, as opposed to the two-player only action of the original. As well as the two cowboys trying to shoot each other you also have some scenery to hide behind. The game inspired many clones and copies, most notably Atari’s own Outlaw that will be well remembered by owners of both the Atari 2600 and Atari 8-bit computers. It might seem simplistic by today’s standards, but back then Boot Hill was a real blast and set new standards for competitive arcade games. Released in 1985 by Firebird Software for both the ZX Spectrum and Amstrad CPC, The Wild Bunch represents my earliest memory of playing a Wild West themed video game. The Wild Bunch is a highly original combination between a text adventure, strategy game and arcade game that sees you framed for a murder you didn’t commit. With the local Sherriff on your tail you must search the local towns for clues and try to track down the real killer before it’s too late! There are many locations that feature different ways to interact with the game; the bar serves drinks for health, the shop sells ammo for your gun and the telegraph office gives you clues to your assailant’s identity. The real fun comes in the form of the first person gun fights however! The Wild Bunch was one of the very first games I bought for my Speccy back in the day and really made me feel like I had been transported into a TV western, just as Red Dead Redemption did some 30 years later.